On Monday 28 January 2013 at 19:00, our Queen Beatrix announced that she will abdicate. She succeeded her mother Princess Juliana 33 years ago and now her eldest son, Prince Willem-Alexander, will succeed her as the new monarch of the Netherlands. The investiture will occur at the Nieuwe Kerk in Amsterdam on 30 April 2013. Queen Beatrix was our queen for nearly 33 years, making her the longest reigning monarch after her grandmother Queen Wilhelmina (50 years) and King Willem III (41 years and 9 months). She abdicates not because she feels the work has become too strenuous but rather because she believes that the country should be led by a new generation. Once Willem Alexander will be installed on 30 April, he will be the first male monarch in the Netherlands since 1890. Contrary to his predecessors, who called themselves Willem I, Willem II and Willem III, he will be called King Willem-Alexander. 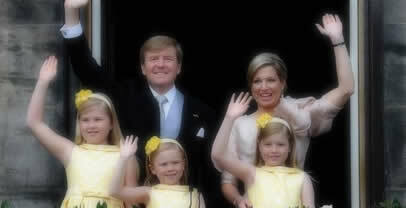 His spouse Maxima will be Queen Maxima and both will be addressed with the formal title ‘Majesty’. 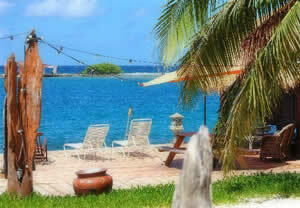 Savaneta Aruba is a little fishing village located on the southern coast. It is quiet and peaceful and just right for residents who enjoy a slower pace of life and getting to know their neighbors. One of the great advantages of Aruban life is the abundance of seafood. Some of the local restaurants are the haunts in Savaneta Aruba of people who ought to know. The first of our picks is a place called Zeerovers. It is quaint, basic building that serves the catch of the day, which you pick out your choice from examining the various fish, and then it is specially prepared for you. Judging from comments by patrons, the result is spectacular. Fried barracuda with a light coating, seasoned to perfection was the hit of the day with an overlay of sizzling french fries. Another customer said their party ordered a meal that fed a party of 10 very well for a reasonable price. The food is good and the socializing is the reason for the stop. The Flying Fishbone is the choice of those who enjoy outdoor seating and a romantic flair added to a delectable meal fit for any occasion. You can actually get a table in the water on the beach. You take off your shoes and your shoes and dangle your feet in the water. The food is among the best on the island and has rave reviews from patrons. Saveneta Aruba was once the capital, but is now known as a fishing village. It is the location of the oldest house on Aruba. Fishing excursions can be rented, or if preferred fishing can be done in coves, lakes or rivers. Fresh fish of all kinds are abundantly available. 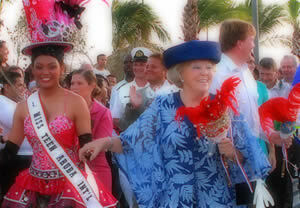 Aruba is a multicultural society with mixtures of people from the Americas, the Caribbean, and Latin America. The dominate culture of the island is Dutch, due to the conquering of the island in 1636. The local area became the headquarters for the Dutch East India Company with Aruba being a satellite from the island of Curacao. The people of Aruba come from 40 different ethnicities from all over the world. Almost everyone on the island can speak English and Spanish, as well as Dutch which is the official language. Diving is a popular activity in Savaneta. There are many charted dive sites and beautiful coral areas that are favorites for snorkeling and scuba alike. The island’s powers that be created a reef cleanup program in order to establish and underwater protected park area. Even with more site seeing areas available on Aruba than just about anyone has time to visit, establishing a headquarters in Saveneta allows unrestricted relaxation and a slower pace that appeals to the population there. Once spending time seeing the tourist areas around the island, Savaneta is a good place to settle back into. There are enough good places to eat to last a lifetime. If fishing is your thing, that can also become a lifelong pursuit. Savaneta Aruba works well for enjoying life. By Ryan, one of our loyal members. I am not a huge beer drinker, but when I find one I like, I really get excited about it. A year or so ago I tried a beer called Balashi and I have been a bit obsessed with it since then. I have had several beers that were more expensive, but they cannot come close to this one. 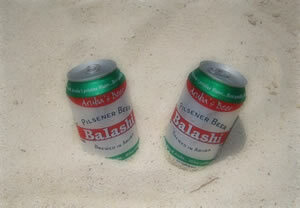 Arubans like beer that is golden, clear, and smooth with a bit of an aftertaste, and Balashi fits the bill in every way. The fact that this beer is the only beer brewed in Aruba and the brewery offers tours every weekday is more than enough reason for anyone to take a trip there. The brewery was founded in 1996, and the first batch of Balashi Beer was brewed in 1999. The beer is said to be special because it is made using only water from the island. The malt that is used to make this beer is from Scotland and the hops are sent straight from Germany. Balashi holds a strong sense of pride for the people of Aruba. In fact, the citizens are the ones who named the beer. There was a contest held when the brewery was first introduced and this is the name that most of the public voted for. The name is a derivation of the terms "Balana" and "Bala Bala." The meaning of the name is "near the sea," which is great considering the fact that most people think of beautiful beaches and water when they think of Aruba. I remember the first time that I tried Balashi. I was on my second trip to Aruba and I was enjoying the tropical feel of the country. I am from a much colder climate, so this was definitely a little slice of heaven. My friend and I were looking for something to do and the front desk clerk at out hotel suggested we go to the Balashi brewery for a tour. As I said before, I am not a huge beer drinker, so this idea did not immediately appeal to me. I only went because my friend insisted we should. We went to the brewery with the full intent of having a tour, but we were told that we had missed it. That ruined our moods until we were told that we could go across the street and spend some time at the Balashi Beer Garden. This is a place where lots of tourists and locals come to get a bite to eat and enjoy some of this delicious beer. I wasn't going to have any, but once I tasted my friends I wanted one of my own. Not only was the beer tasty, but it complemented the food I ordered. The following day we called the brewery to see if we could get a tour, but we were told that they had reached the limit of people they were taking on the tour. That was our last day in Aruba, so sadly we did not get a chance to go. We made a vow to one another that we would be back, not only because of the Balashi, but that was one of our reasons for wanting to return. I am a little sad that I am not able to find Balashi beer in the US. Apparently it is not imported here, so the only way to get it is for me to go over there. In some ways this frustrates me, but when I think really hard about it, I am only more anxious to get back to Aruba to have more. 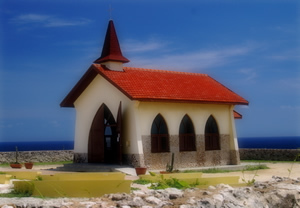 The Alto Vista Chapel is also referred to as “Pilgrims Church” is a small Catholic structure that is located on the hills above the north seashore northwest of the town of Noord. The church is painted a bright yellow color and stands out brightly against the azure blue sky and ocean. The original Alto Vista Chapel was constructed by a Venezuelan missionary named Domingo Silvestre. His prime mission was to convert the local Indians to Christianity and it is said that this location was the beginning of his ministry. The name Alto Vista means “high view” and its location offers a view of the entire island. The proper translation in English is rendered as “Birds Eye View”. The original chapel was built in 1750 by the Indians and Spanish. Domingo Silvestre arrived later and began the work of conversion using his own funds. The church was dedicated to St Mary, the “Mother of the Rosary”. In the late 1700’s a tragic plague struck the island and many people died. The residents who survived who lived near the chapel, abandoned the area and moved to Noord. There, the people built the island’s second church, St. Anne’s Church. The Alto Vista Chapel was left deserted and was left in ruins. The old Spanish cross that had originally hung in the original chapel made its way down the paths of history to Francisca Henriques Lacle, who was a schoolmistress who was in charge of a school for girls. She began to search for the ruins of the old chapel and finally found them. Through hard work and perseverance, she was able to persuade the Catholic Church that the rebuilding of the chapel was a good idea. By 1950 she had raised enough money to rebuild a replica of the old statue of the Virgin Mary which was later place in the rebuilt Alto Vista Chapel. In 1952 the current chapel was built atop the original location. The current chapel is visited by people from all over the world and hold services weekly officiated by the priest located in Noord. The chapel on the hill is a focal point for residents and visitors alike of peace and tranquility. The isolated location away from the hustle and bustle of the tourist trade allows for solitude of spiritual essence. People come to visit and spend time in meditation and reverence. Given the view of the sea and the remainder of the island of Aruba, it is no wonder that people seek out the Chapel in order to spend spiritual time. The Alto Vista Chapel is a symbol of the spirit of the original priest, Domingo Silvestre and his quest to convert the native population. There he worked together, not only in building the chapel, but to put together a better life in harmony to forge the beginnings of a homogenous people on the island. A pilgrimage is held each year on Good Friday as local Catholics walk from Oranjestad to the Chapel.